In 2005, few housing developments around the city catered for the mid-range and affordable housing market. Parklands was created to meet this demand, and in order to provide a quality open-aspect residential zone, the use of strict housing and development covenants were adopted, most of which are still used today. 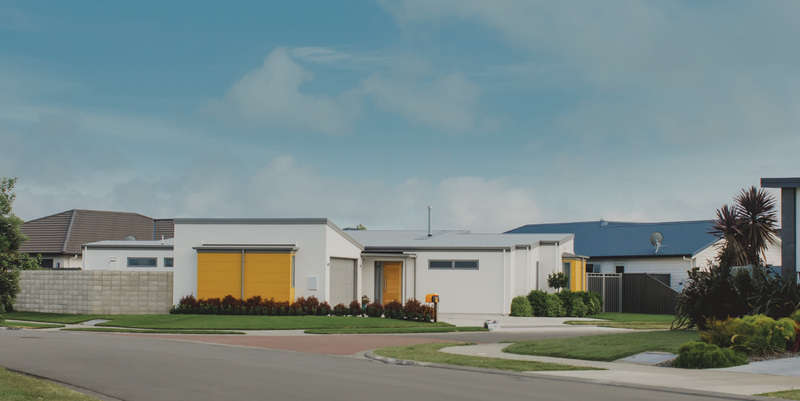 In recognition of the nationwide housing shortage and the changing demographic of our city, Napier City Council has been reassessing the mix of house styles and sizes on offer in Parklands. The intention is to offer people more choice in the urban form of their neighbourhood, and to provide the community with a variety of housing options for singles, couples, young, or with large families, and those in retirement. Our aim is to encourage a diversity of good quality homes, in an environment with enhanced streetscape amenity, and which maximises physical and visual connectivity with cycle routes, adjacent residential areas, and the Park Island reserve. To achieve this goal, Council is revising the earlier covenants to reflect this variety, whilst retaining our commitment to creating a high quality, attractive subdivision. Section sizes will vary within the subdivision, being generally in the 500m2 to 700m2 range, although some smaller or larger options will be available from time to time. The location of the subdivision, and its proximity to Napier City and the Hawkes Bay coast line make this a great development to live in. Parklands Residential Estate is located next to Tamatea which positions it only 7 minutes from Napier's CBD.